We have been active in Central America since 2012, when Pueblo Project founder Liz Johndrow began leading natural building workshops in Totogalpa, Nicaragua. Since then, we have led workshops to teach individuals not only building skills, but prepare them to be leaders in their community and teach others what they have learned. This is always a starting point, where everyone learns together and the community reaps the benefit of a building that continues to provide a place for educational purposes. 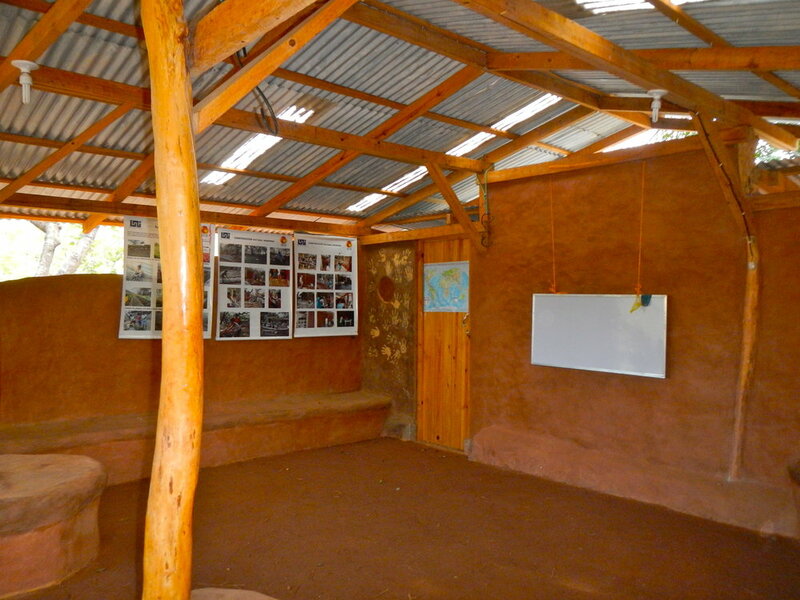 Pictured to the left is the Aula Natural in Totogalpa, Nicaragua: a natural classroom that is now used as a meeting space for local community groups, English classes for children, and a small library. Many of our projects have been in communities with existing homes that simply need improvements such as wall plasters, a stabilized earthen floor, a smokeless stove, or a composting toilet. We are able to reinforce the skill building as well as identify and support leaders, while educating a community on simple improvements towards safer and healthier homes. We don't just build buildings; we build leaders. Students who have already learned natural building skills through a Home Improvement or Community Builds workshop are eligible for "Phase 2," which combines leadership development, teaching techniques, and more advanced construction skills. Building Leaders is at the heart of the Pueblo Project's mission-- by empowering women and youth to effectively teach others what they have learned, we create can create meaningful change.